There are no records of tourism in Visakhapatnam. 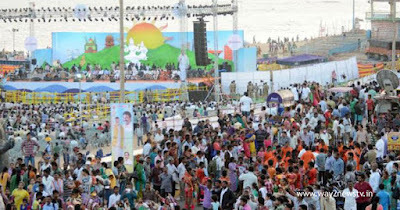 Vishakha Uthsav, Sound of Sands, Araku Balloon Festival, Yating Festival, which cost over Rs 15 crore this year, have been criticized for not making tourism revenue. Tourist operators claim that the number of tourists is not as high as these celebrations. Many believe that the government should focus on the lack of taxes in the existing tourist areas instead of tourism. Tourists in places such as Araku, Bhora Caves, Lala Basing and RK Beach have been said to be excessive. There are no arrangements for staying at night at night. In the areas of Araku and Borra, there is a need to improve the basic sutras. The tour operators point out that tourists can spend more time here, as well as the number of tourists increases significantly. 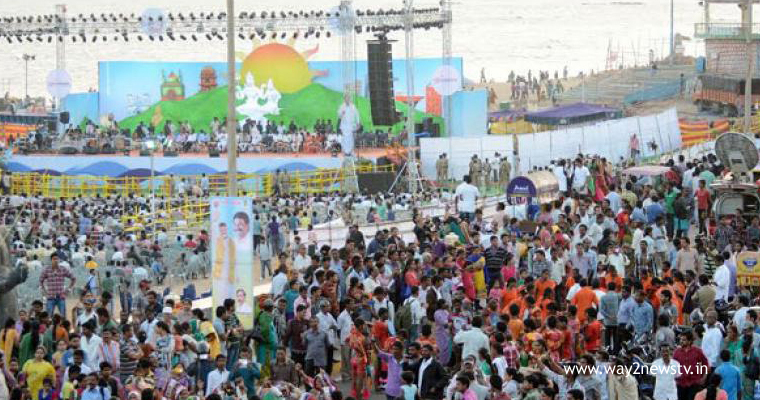 The government hopes to attract large crowds to the Visakhapatnam ceremonies which include many tourist attractions such as Simhachalam Devasthanam, Araku, Bhora Caves, Lamborghini, RK Beach, Submarine Museum and Rasikonda. But some officials say that without proper planning, touring the needs and interests of the guests, no results have been achieved. The three-day Araku Balloon Festival, organized with three crores, has been well-organized due to adverse weather conditions. The Sounds of Sand, set up on the beach with two crores, was hit by a storm. Tourists who come to the yachting festival with foreign boats are just 84. Its cost is three crores. However, the event management company has borrowed Rs 4 crore from them. However, the climbing festivals are not the same for the Yatin Festival. Special packages for tourism and spiritual areas in neighboring tourist destinations, including tourist destinations in Visakhapatnam, have also been restless. There are no new packages launched by the Tourism Department except the City Tour and Borra Araku Tours, which started 15 years ago. Tourists are advised to take more work on this.